Transgender people have unique needs and vulnerabilities in the family law context. Any family law attorney engaged in representing transgender clients must know the ins and outs of this rapidly developing area of law. Transgender Family Law: A Guide to Effective Advocacy is the first book to comprehensively address legal issues facing transgender people in the family law context and provide practitioners the tools to effectively represent transgender clients. 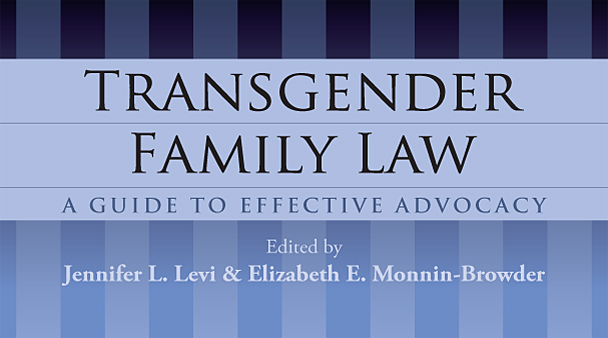 Transgender Family Law: A Guide to Effective Advocacy is written by attorneys with expertise in both family law and advocacy for transgender clients, and is a must-have, practical guide for attorneys interested in becoming effective advocates for their clients. It is also a valuable resource to consult for any transgender person who is forming, expanding, or dissolving a family relationship.